The Carolina Theatre is located in Downtown Greensboro within easy walking distance of a number of eateries and even hotels. Staying outside of Downtown? There is ample parking around the Theatre. 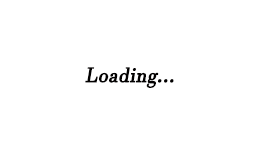 Why not make your visit to the Carolina an event? Park your car just once and walk to one of the great restaurants for a meal, drinks, coffee, or dessert before or after the show! The Carolina Theatre, originally billed as “The Showplace of the Carolinas,” opened on Halloween night in 1927 as a 2,200-seat vaudeville theater. Mayor Paul Lindley was issued the first ticket and joined opening night crowds in exclaiming over the glittering crystal chandeliers, gilded railings, marbled columns, and classical statues. The Carolina was considered to be the finest theater between Washington D.C. and Atlanta. The most monumental structure of its type ever built in Greensboro, the Carolina’s terracotta façade is in a Greek temple design with its embellishments painted in bright greens, reds, and golds. Tall windows between the columns light the floors above the lobby, which were intended to be the regional headquarters of the Publix-Saenger Theater Corporation until the Depression struck. The Carolina was also the first commercial building in the state to be air conditioned. The opulent décor was designed to provide the ordinary citizen with an experience of sheer fantasy. Uniformed ushers greeted patrons passing through the vast and elegant lobby and under handsome archways into the auditorium where clouds were projected onto a sky-blue, domed ceiling above the ornamental columns and draperies reminiscent of a Greek amphitheatre. Even during the Depression, the cost for an evening of entertainment was affordable at $0.75 for an adult and $0.50 for a child. Operated as a part of the Keith Vaudeville chain, the Theatre’s early programs featured live performing acts, the Carolina Theatre Orchestra, the Carolina News newsreel, an audience sing-along, and a silent film accompanied by the impressive Robert Morton theatre pipe organ. Vaudeville’s days were numbered, however, with the introduction of sound in movies. In 1928, the Carolina became the first theater in the state to install the new Vitaphone speakers, and crowds flocked to see films five times daily. For the next 30 years, this Downtown movie palace was a hub of Greensboro nightlife. Continuing the trend, the Saturday morning Circle K Club was introduced after World War II and entertained a generation of local children. During the late 1960s, suburban retail businesses and neighborhood movie theaters began to attract citizens away from the heart of Greensboro. Just as Downtown began to decline, so did the Carolina Theatre. Despite the comfort of new rocking chair seats, the second-run and B-Grade films being scheduled caused audiences to dwindle. The wrecking ball began to loom as surface parking became high demand in the downtown central business district. In 1975, responding to the growing need for centrally-located community performance spaces, the United Arts Council raised over $550,000 to save the deteriorating building from demolition. Jefferson Pilot Corporation and ABC Southeastern Theaters sold the priceless structure and its equipment to the United Arts Council for $360,000. By stretching the restoration budget with volunteer labor and donated services, the Carolina was refitted for use as a 1,200-seat performing arts center and reopened in February 1977. The bumpy journey was not over for the Carolina, however. Thick, black smoke greeted people coming to work Downtown on Wednesday, July 1, 1981. The Carolina was beset by a raging fire in an old stairwell that had once led to the segregated balcony. The Theatre was closed for a year to repair the fire damage with insurance funds. The United Arts Council staged the Renaissance Capital Campaign in 1988, raising $5,000,000 to help expand the city-owned Cultural Center on Davie Street, and to undertake the next phase of renovation at the Carolina. In 1991, the Theatre reopened with refurbished dressing rooms and office spaces, a spacious second-floor banquet area (appropriately named “The Renaissance Room”), new sound and lighting equipment, a new heating and cooling system, a modern concession stand, and new restrooms. Seating capacity was reduced to 1,075. 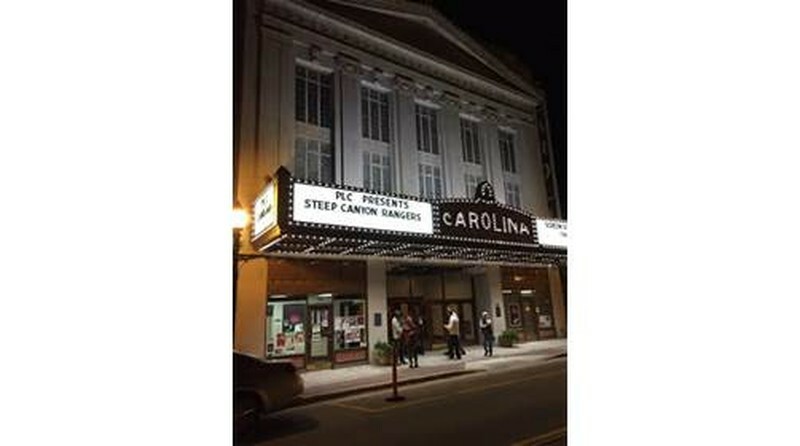 Now thriving in her 87th year of operation, the Carolina Theatre is a fully functioning performing arts facility. She has been home to the Greensboro Ballet, Community Theatre of Greensboro, Greensboro Opera, and other local performing arts groups. Civic groups, businesses, and individuals also rent the facility for seminars, meeting, receptions, and even for weddings. Eighty-five years later, the Carolina Theatre attracts nearly 90,000 people to Downtown Greensboro annually to enjoy the rich atmosphere and ambiance of an earlier era, while enjoying performances by top entertainers and area cultural groups. Audiences enjoy the intimate setting of this majestic hall, and hundreds of people visit each year just to go back in time, recapturing childhood memories and making new ones. The Carolina is as timeless as she is beautiful.